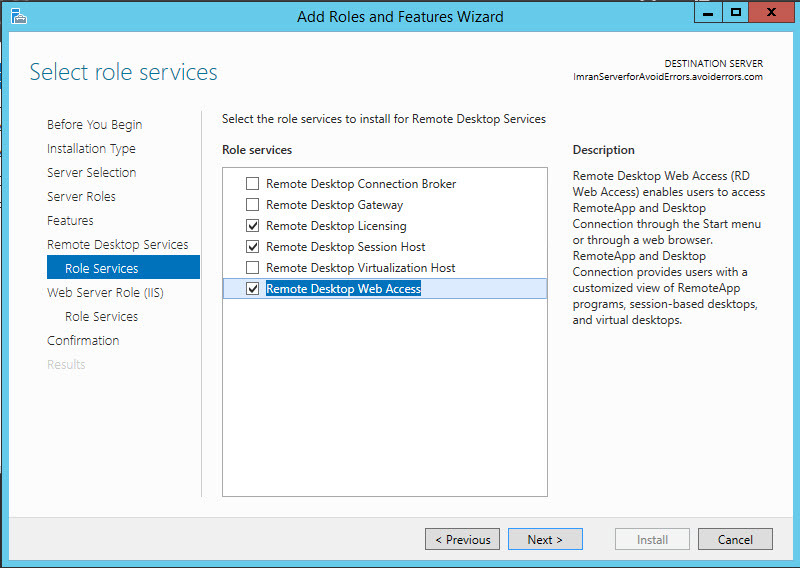 In this article, I will explain how we can install remote desktop services and roles on Windows Server 2012 R2. 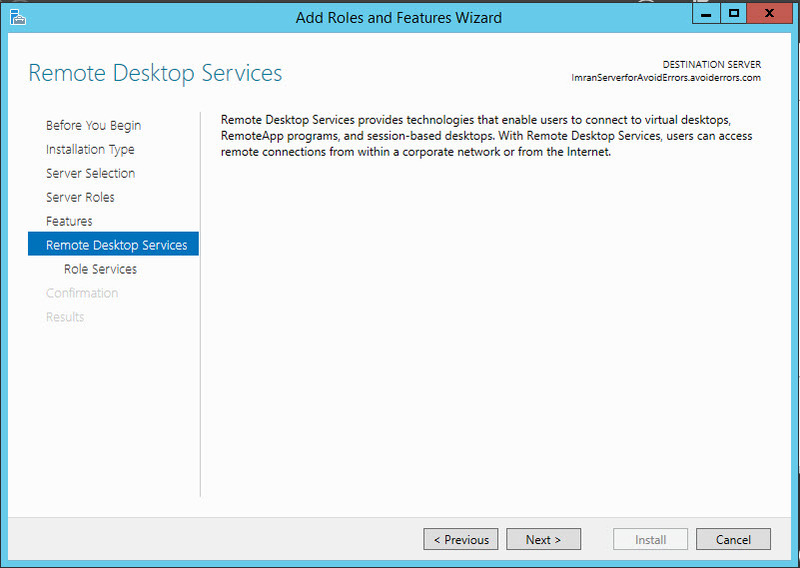 Remote Desktop services role helps you to allow access to the remote apps and remote servers. 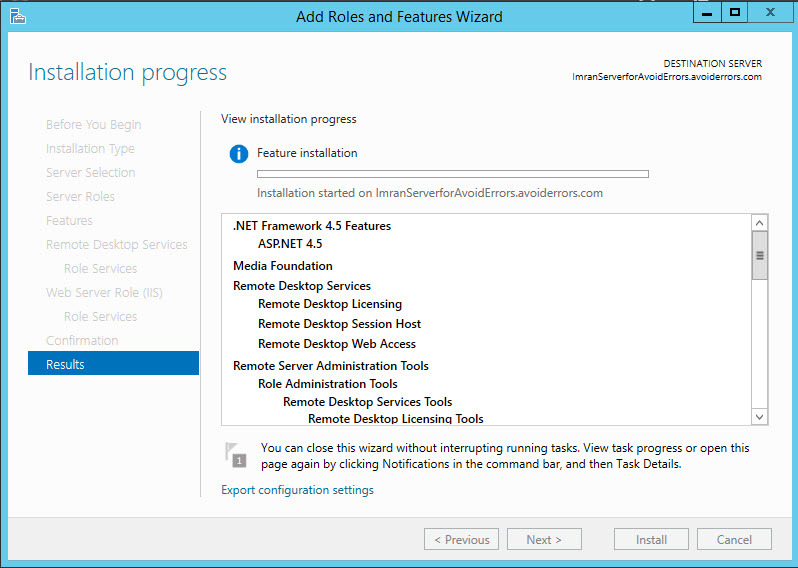 To install this row follow the following steps. 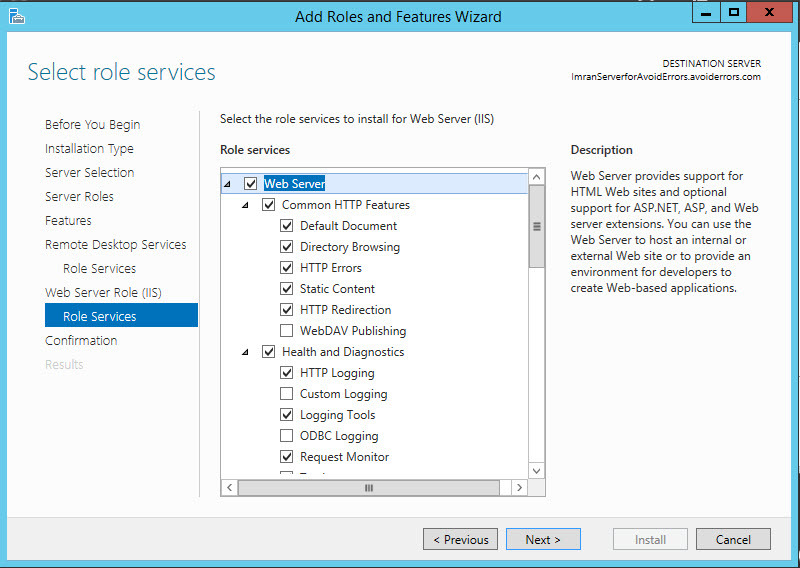 On the server manager, click on manage and then click on add roles and feature. 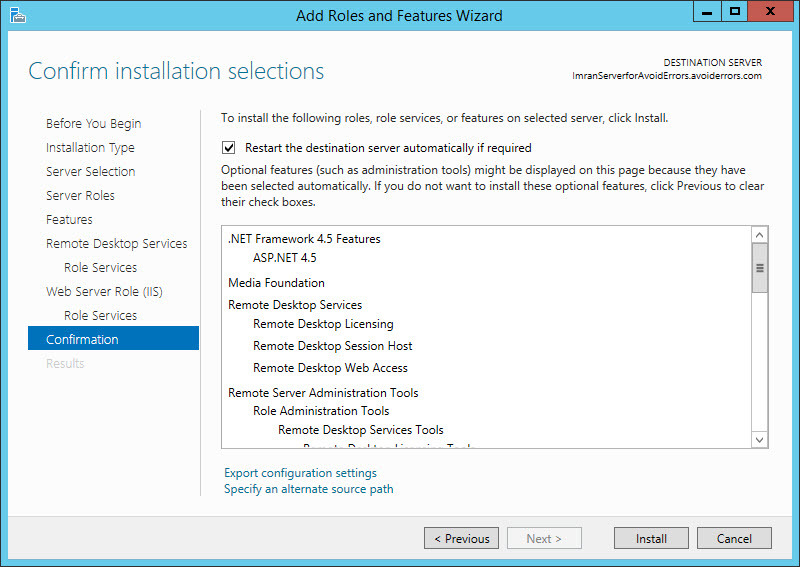 This will open up add role and feature wizard. In the start, it will explain what can be done through this wizard. click next. 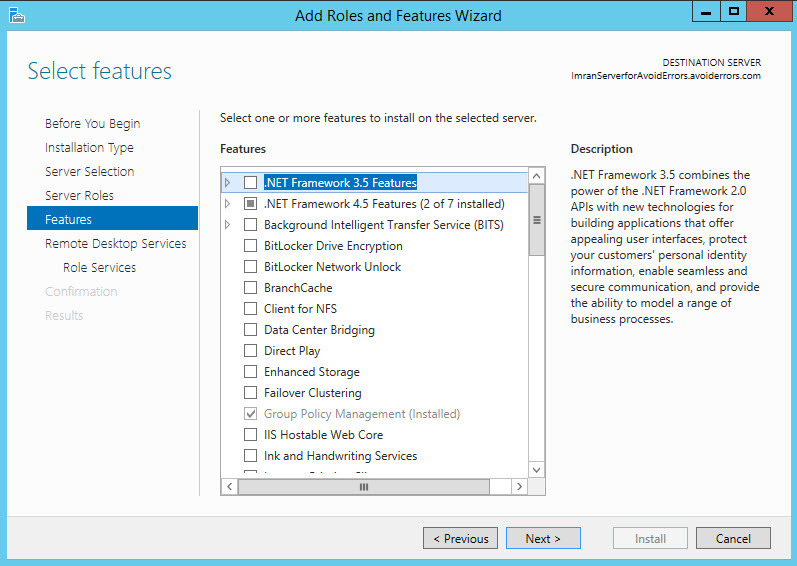 Now select role based or feature-based installation option and click next. 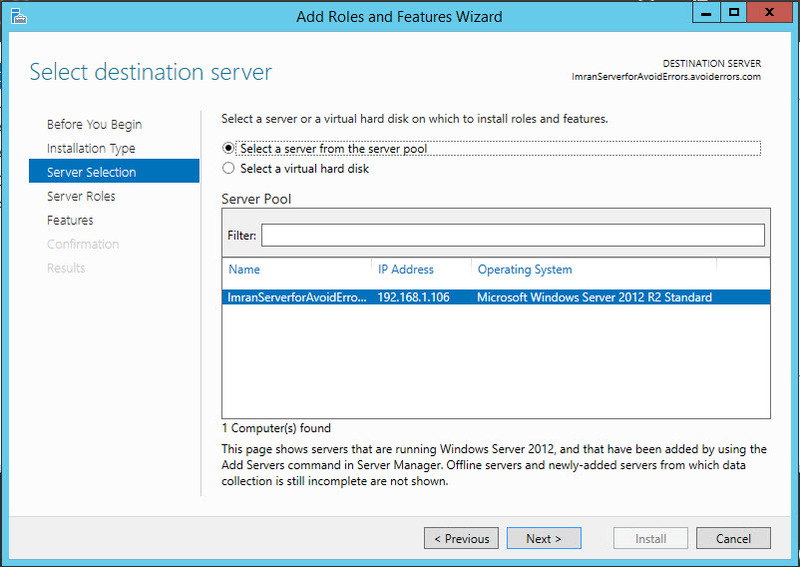 In the next window, it will give you the option to select the server on which you want to install this role. Select the server and click next. 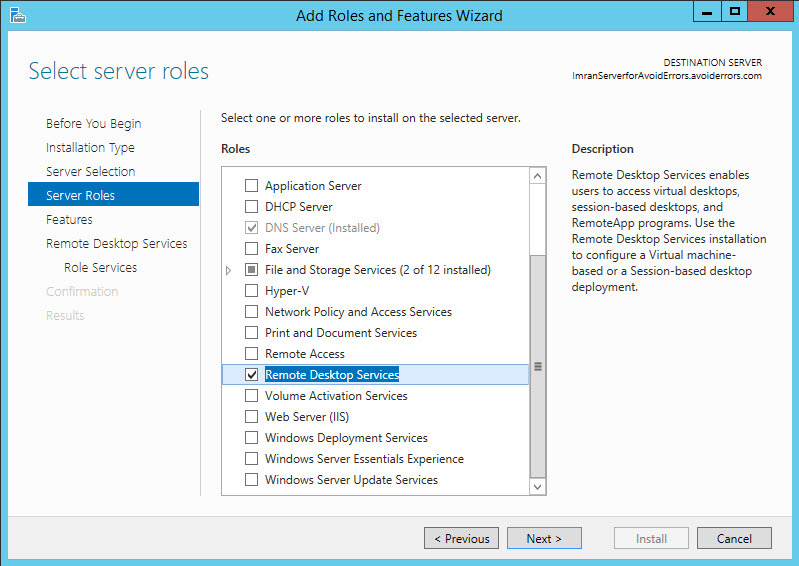 Now you will get the list of the roles that can be installed on the server, Select Remote Desktop services and click next. It will offer you enhanced features that can be installed with remote desktop services role leave it as it is and click next. Now you will see the summary of the roles and services that will be going to install on the server, click next. 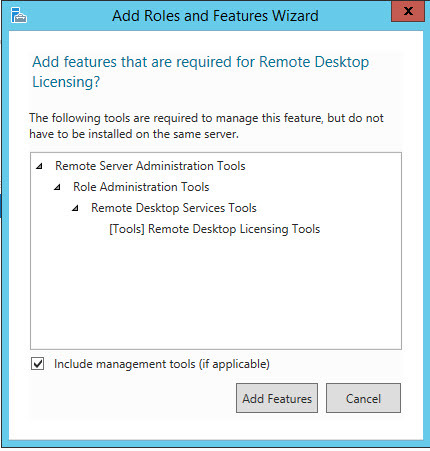 The wizard will give you the list of the roles that can be installed with remote desktop services to support this service, select Remote Desktop licensing, Remote Desktop session host and Remote Desktop web access. 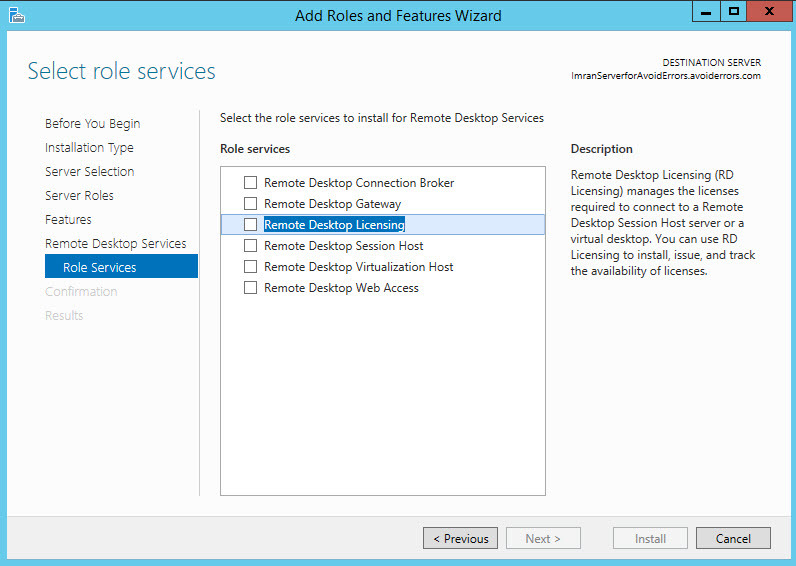 With these services, you can set up Remote Desktop services, install the remote desktop license and enable Web Access for your remote applications. When you will select these options you will get the additional dialogue box to let you know that these features will also be required click on add features. After that, the services that we have selected will be shown as selected now click next. 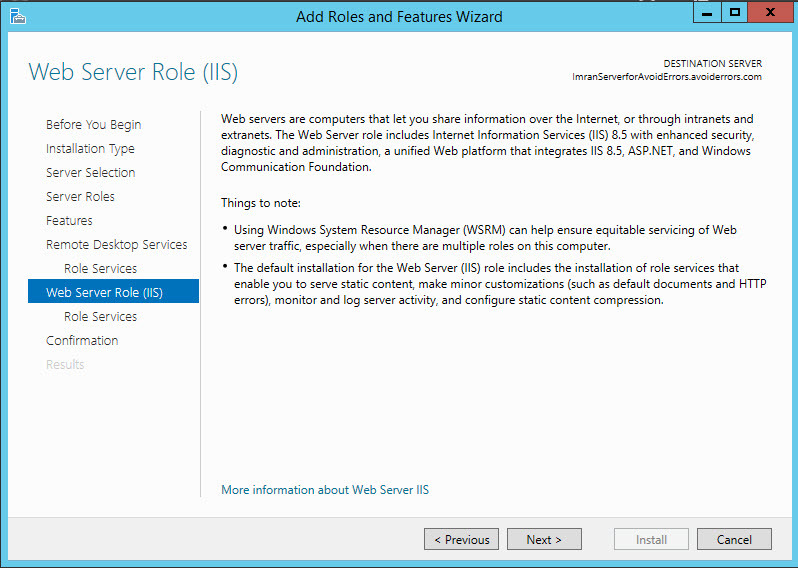 The visit will let you know that Web Server Role IIS will also be installed, click Next. 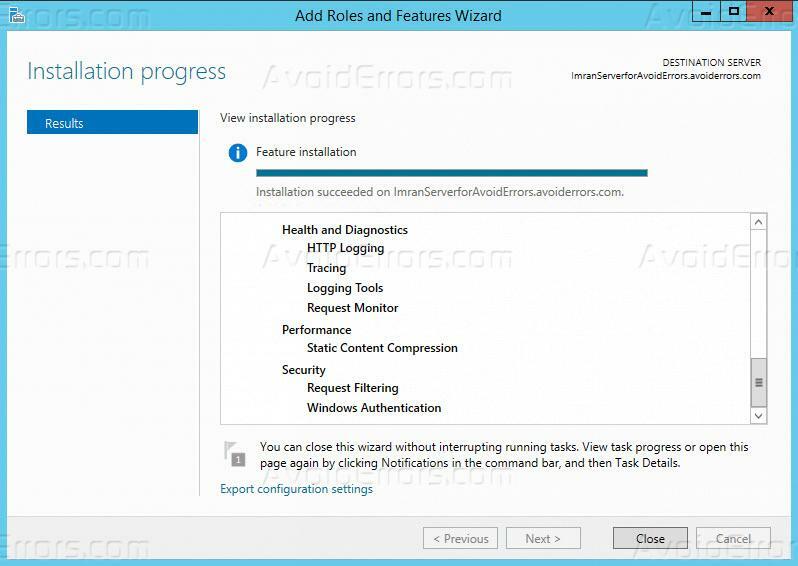 At the end select the option to restart the destination server automatically if required and then click install. Now the installation of the roles and services will be started. After the installation of the services and roll your computer will reboot. 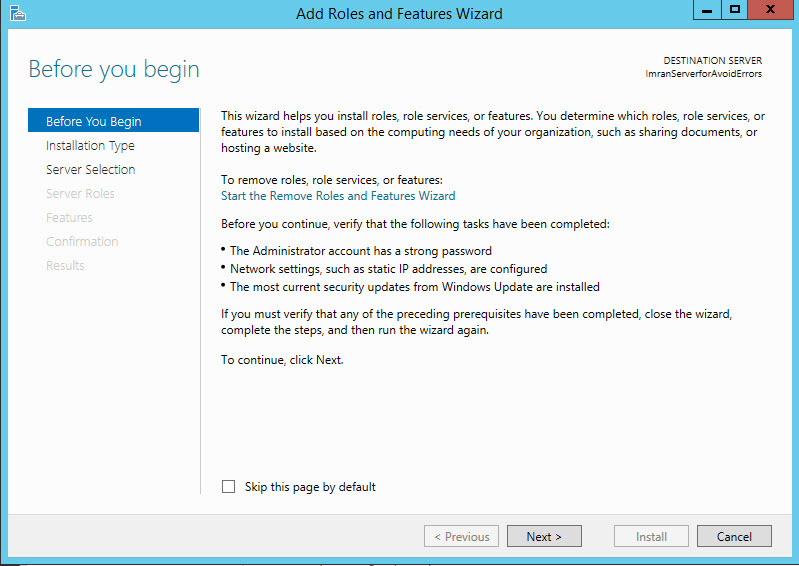 Once the server will complete the configuration you will see that installation process will be completed and you will have a close button in the wizard to close the installation wizard. 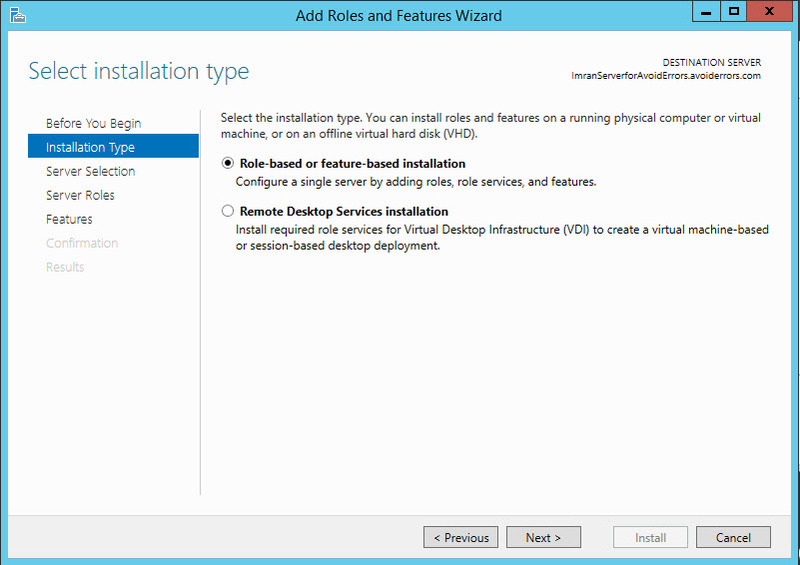 With the completion of the wizard, the remote desktop services and role has been successfully installed on your server.